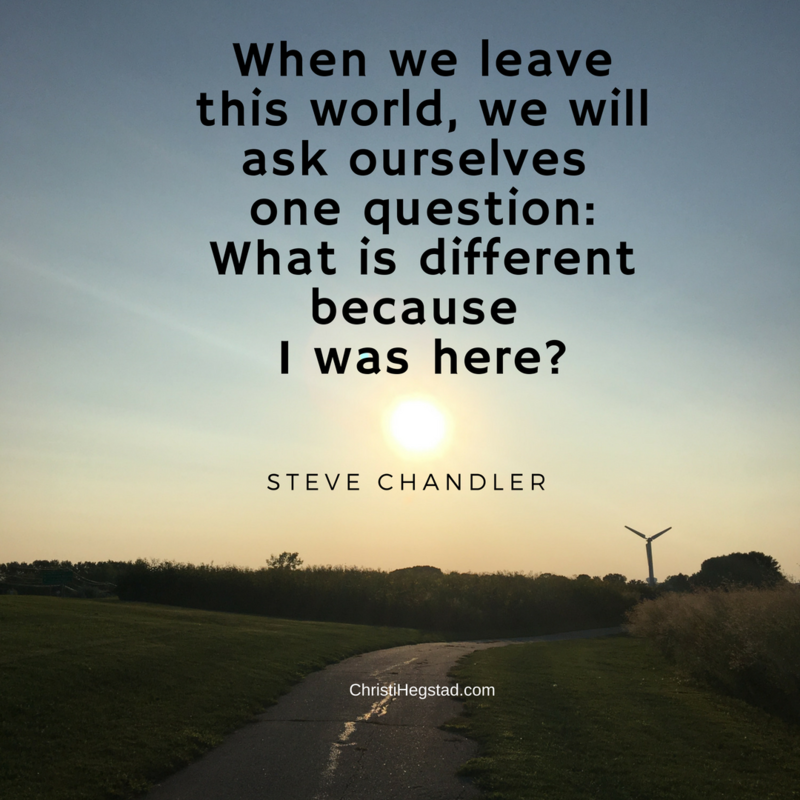 What Is Different Because Of YOU? Always remember: You choose your legacy by choosing how you live, work, and interact every single day. First and foremost, let me assure you: This world is different because you are here. You bring a combination of strengths, gifts, perspectives, and values that no one else can offer. And we can all surely think of examples of people who left the world a better place because they were here. This is not by accident. Remember: You choose your legacy by choosing how you live, work, and interact every single day. Before you respond to a statement (even if it’s hurtful), before you post a complaint on Facebook (even if it’s accurate), before you flip on the TV or reach for your phone or send the reactionary email, pause. And ask yourself: If this action marks how the world remembers me, would I be o.k. with that? There’s exceptional power in the pause. Experiment with it this week! What is one difference you want to make in the world? Share here! Receive Clarity Kickstarts directly in your in-box every Monday morning! (And learn about our upcoming book giveaway!) Click here to join us.